The monthly cycle operating in women can be irregular at times. Foremost, proliferation of the uterine endometrium, developing of the secretory changes in the endometrium and desquamation of the endometrium is known as menstruation. It occurs in the female body due to decrease in the levels of estrogen and progesterone. In normal cases, usually 40 ml of blood and an extra 35 ml of serous fluid are lost. In four to seven days after the menstrual period starts, the loss of blood stops since the endometrial gets repaired by this time. In abnormal cases, there is excessive loss of blood which makes the women to go through numerous physiological problems. Many women might suffer irregular menstrual periods due to hormonal changes. Typically, there is no remedy that can help cure the irregular periods as soon as possible. Many medical treatments may comprise of side effects which can cause trouble later on. Irregular periods are common in young girls and mid-aged women. However, women about to menopause may also face these kinds of situations of irregular periods. PCOS or polycystic ovarian syndrome is one of the key causes of irregular periods. It is caused due to hormonal imbalance. Imbalance of hormones is second cause of irregular menstruation. Young girls usually suffer this during puberty and it might take time to reach normal balance of hormones. Thirdly, women in age group 45-55 may face irregular periods due to menopause approaching. Women who are feeding infant may also suffer irregular periods. Thyroid disorders can also be the reason of irregular periods. It affects the metabolism of the body leading to irregular periods. Ladies using birth control contraceptives can also suffer from irregular periods since the contraceptives can result in hormonal imbalance. Dr. Willmar’s homeopathic AGNUS CASTUS PENTARKAN is one of the best remedy available in market that regulates the hormonal functions in the body. The medicine takes care of the PMS or Pre Menstrual Syndrome. 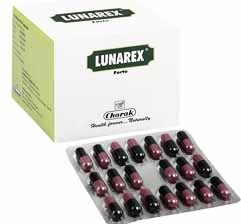 It effectively treats the suppressed menses which can be due to nervous debility or irregularly menstrual periods in over-sensitive women and considered best irregular period treatments. 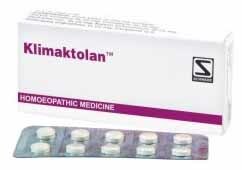 The homeopathic treatment is useful in getting rid of menstruation along with cold feet and cramps in the uterus. It also takes care of the palpitation, sadness and depression caused due to hormonal imbalance in the body. In short, the Dr. Willmar’s homeopathic AGNUS CASTUS PENTARKAN helps in following conditions effectively. It is one of the best homeopathic remedies for menstrual cramps that cure irregular menstruation. 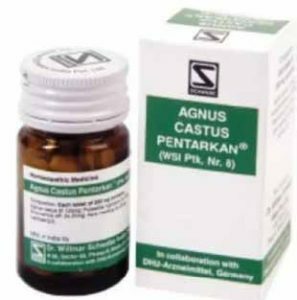 Dr. Willmar’s homeopathic AGNUS CASTUS PENTARKAN is homeopathic and purely natural. Hence, it has no side-effects like other medical treatments. Dr. Willmar’s homeopathic AGNUS CASTUS PENTARKAN is safe and helps in regulating hormonal balance. 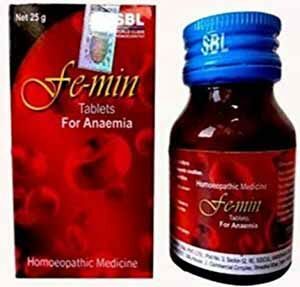 The homeopathic medicine offers quick results in women suffering from every kind of menstrual disorder. Agnus Castus is one the best remedies that can cure any kind of menstrual issue in females. It is unique that can help get rid of irregular periods in short span. Ladies, girls who don’t get regular periods can take this homeopathic remedy to get cured. Apart from this, Dr. Willmar’s homeopathic AGNUS CASTUS PENTARKAN also helps to regulate the hormonal balance in the body. Being natural, it has no side effects and boosts the tonicity of the uterus for regular production of the hormones. It is also indicated for ladies with less sexual desire and energy. Dr. Willmar’s homeopathic AGNUS CASTUS PENTARKAN should be taken three times a day in a quantity ranging from one to two tablets. The quantity depends on the irregularity of the periods. One important thing to note here is that it should be taken after consulting from a physician. If physician prescribes then it must be taken else shouldn’t be taken. Take only under medical supervision for good results and needs to be consulted well from a professional.